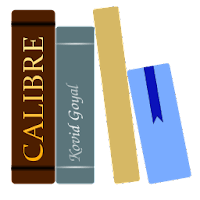 Calibre is an open source e-book library management solution developed by users of e-books for users of e-books that will save you time on managing your e-book collection. Calibre allows you to view, convert and organize e-books in an efficient and simple manner. It acts as an e-library and also allows for format conversion, news feeds to eBook conversion, as well as e-book reader sync features. Calibre has a built-in e-book viewer that can display all the major e-book formats. It has full support for Table of Contents, bookmarks, CSS, a reference mode, printing, searching, copying, multi-page view, embedded fonts, and on and on. Calibre runs on multiple platforms (Windows, Linux, and Mac OS) and supports a variety of formats (including the common EPUB and Kindle MOBI formats), most e-book formats can be edited, for example, by changing the font, font size, margins, and metadata, and by adding an auto-generated table of contents. Calibre does not natively support DRM removal but may permit DRM removal after the installation of plug-ins with that functionality. Several third-party developers offer apps to help Calibre users manage and sync the e-books or e-files on their mobile devices with those loaded in Calibre. Examples include: Calibre Cloud (free) and Calibre Cloud Pro (paid), apps by Intrepid Logic that let one "access your Calibre e-book library from anywhere in the world. Place your calibre library in your Dropbox, Box, or Google Drive folder, and be able to view, search, and download from your library anywhere". Disclaimer: Direct downloads for the lastest version of Calibre 3.7.0 are provided by the official software's author, we can't guarantee safety, availability or download speed. Moreover, we don't and we won't provide any pirated/illegal versions or tools. We recommend you to avoid it as these methods can harm your device. If you like the software, buy it to support the developers. (We provide software discounts for many worldwide brands).